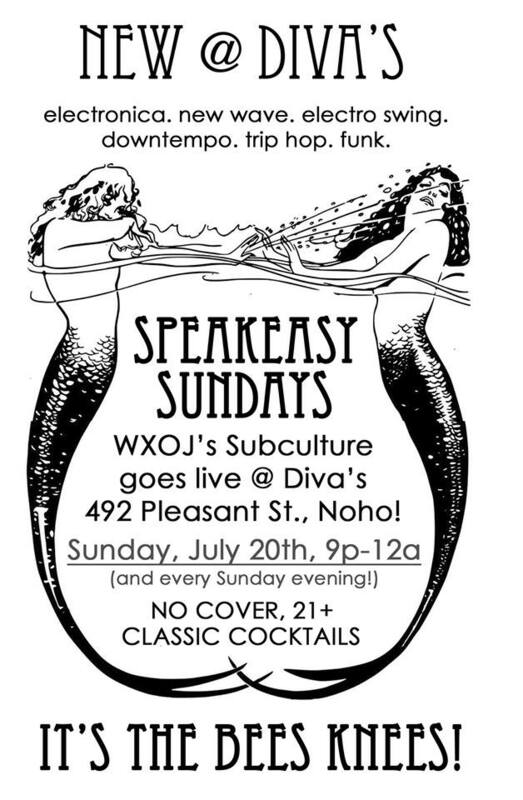 WXOJ’s Subculture – Speakeasy Set LIVE Tonight @ Diva’s! IN ANTICIPATION OF SUBCULTURE GOING LIVE IN THE CLUB FOR “SPEAKEASY SUNDAYS” AT DIVA’S NIGHTCLUB, OPENING THIS SUNDAY (JULY 20TH 9P-12A AND EVERY SUNDAY! 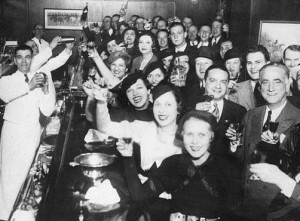 ), ENJOY TWO HOURS OF MODERN SPEAKEASY TUNES! 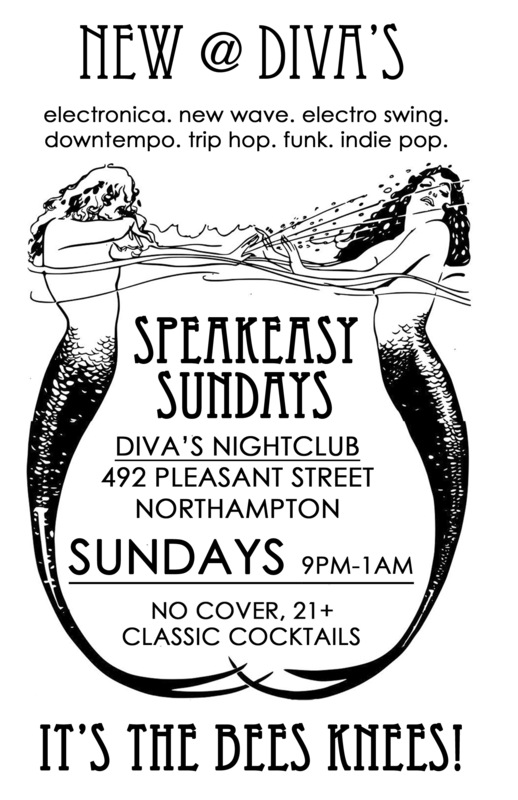 Getting geared up for the debut of Subculture’s “Speakeasy Sundays” at Diva’s Nightclub in Northampton this Sunday evening, enjoy a 2-hour Speakeasy music session tonight on WXOJ! 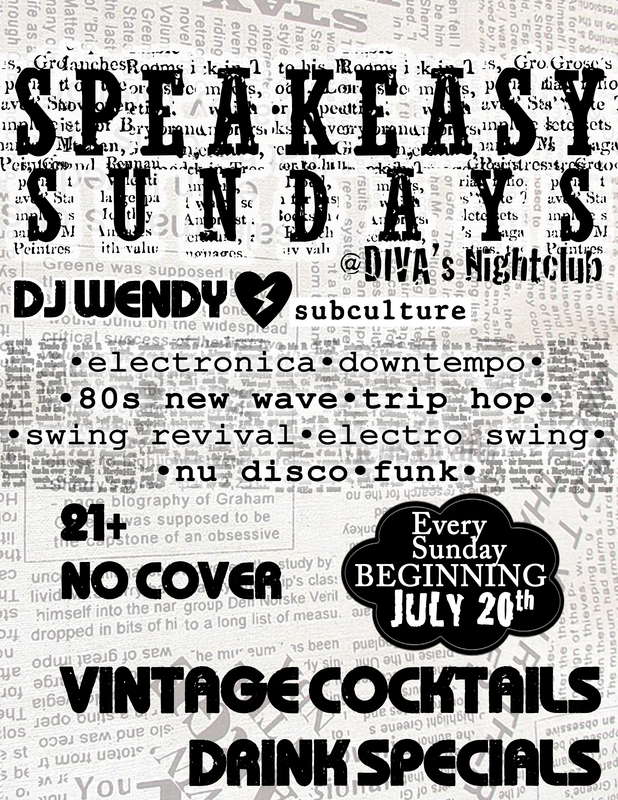 Subculture at the club: “Speakeasy Sundays” at Diva’s Nightclub, 492 Pleasant St., Noho, 9p-12a, No cover, 21+, classic cocktails featuring electronic, funk, trip hop, electro swing, and new wave music! Subculture is LIVE at Diva’s Nightclub this Sunday! Exciting news! Beginning THIS Sunday, July 20th, Subculture begins a new night LIVE at Diva’s Nightclub in Northampton, MA (492 Pleasant Street) in the form of a Speakeasy! I’ll be spinning your favorite electronic and new wave music as well as electro swing, swing revival and funk! How fun is that?! There’s no cover and there will be amazing retro drinks in a cozy atmosphere. Bring your friends and dress in the 20s/30s/40s style if you wish!